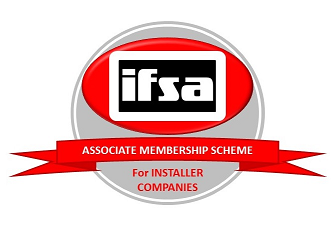 The Intumescent Fire Seals Association (IFSA) is the trade association dedicated to the science and application of intumescent based sealing materials for the passive fire protection industry. The Association provides technical advice and guidance on all matters relating to fire door seals, smoke seals, glazing seals and all penetration/gap sealing problems. To promote the life safety benefits associated with intumescent fire and smoke seals. To promote research and development into extending the benefits of intumescent based fire and smoke seals. To participate in the development of test procedures for fire protection products in BSI, CEN and ISO that are relevant and reproducible.